A juvenile probation officer has been named as the county’s chief probation officer. Angela C. Morris has been appointed chief probation officer for the Johnson County courts. She will supervise both adult and juvenile probation divisions. She starts her new job Jan. 26. Morris replaces Suzanne Miller, who is retiring after serving in the role for 25 years. She was chosen and from six applicants who serve in the county’s probation department. Each applicant was vetted by a pool of judges who serve in the county. Morris has worked as a juvenile probation officer since 2004. She has bachelor’s degree in criminal justice from Indiana University and a master’s degree from Indiana Wesleyan University. She has chaired the statewide Juvenile Detention Alternatives Initiative and has served as a member of the Child Service Planning Committee. 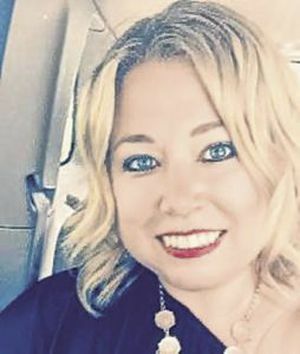 She is a member of the Johnson Memorial Hospital Health Foundation, past president of the Bargersville Police Merit Commission, Johnson County Fair Board and has served as president of Youth Connections, an organization that serves at-risk youth and families in Johnson and Morgan counties.